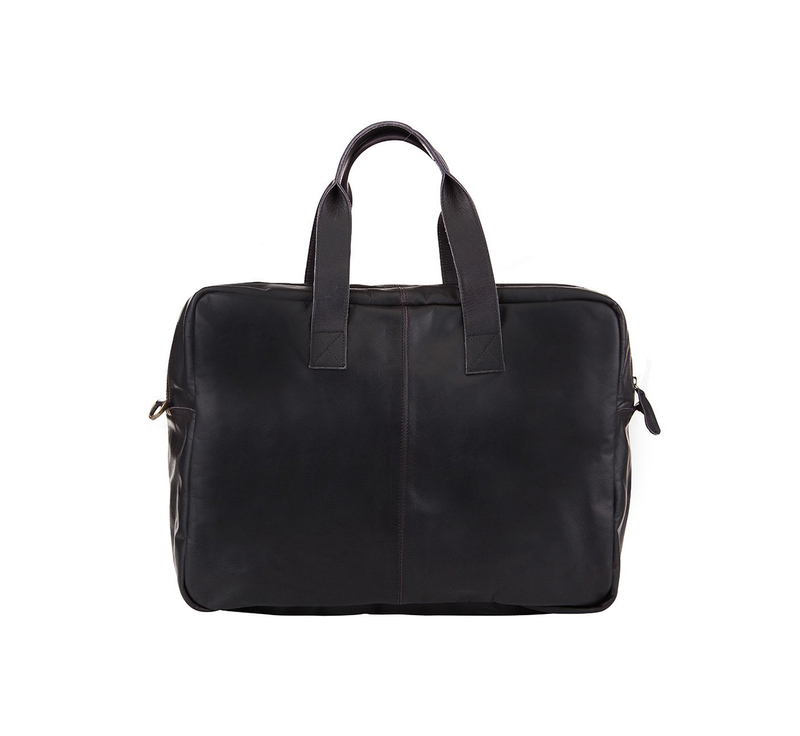 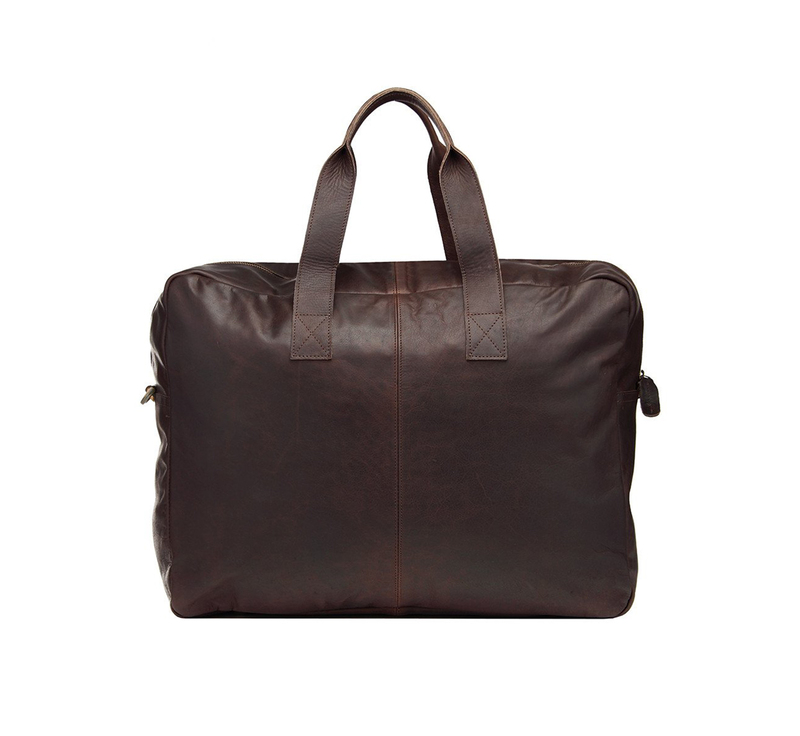 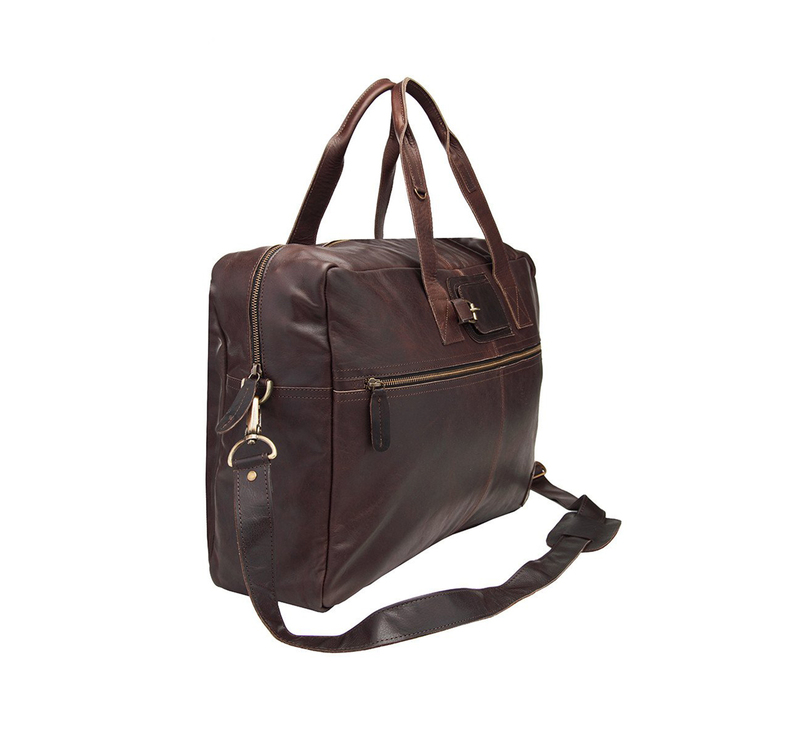 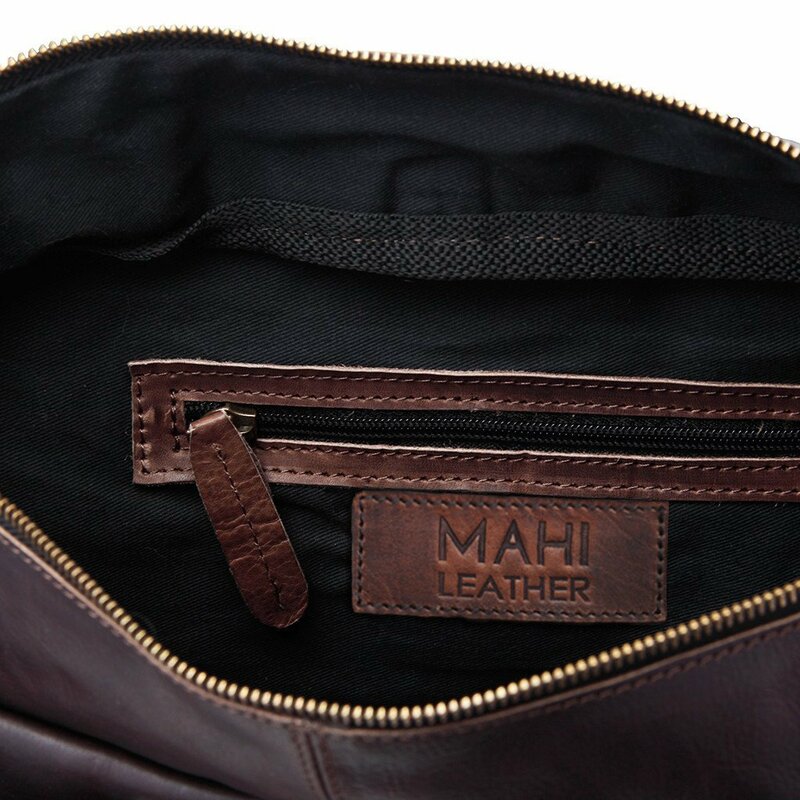 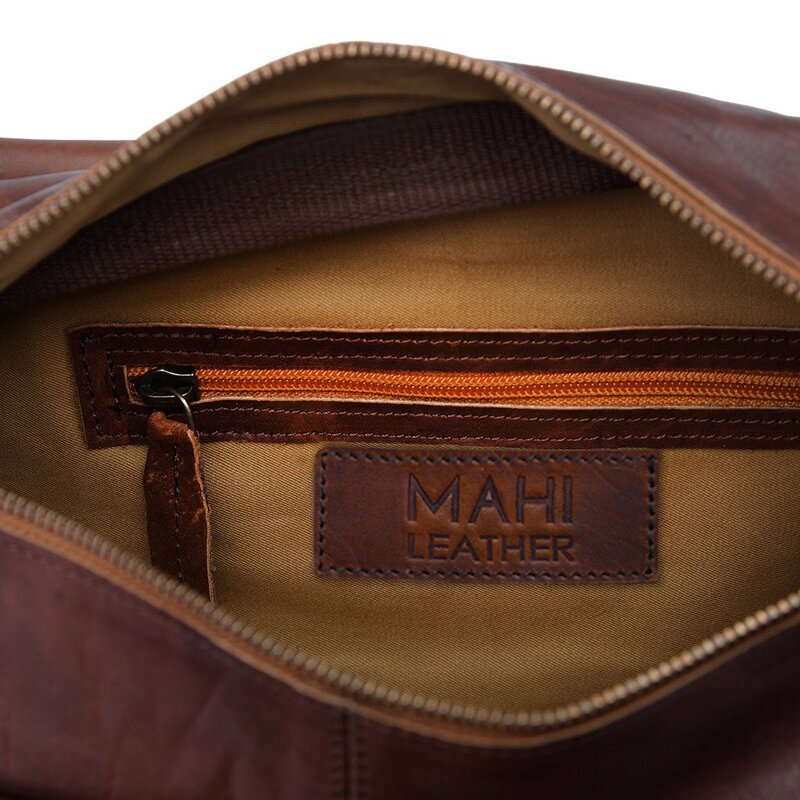 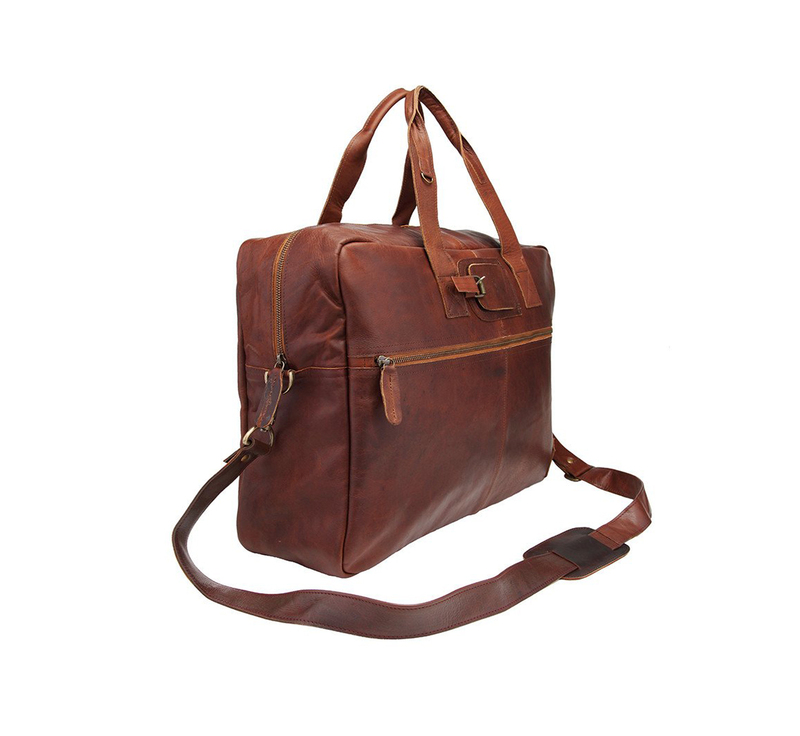 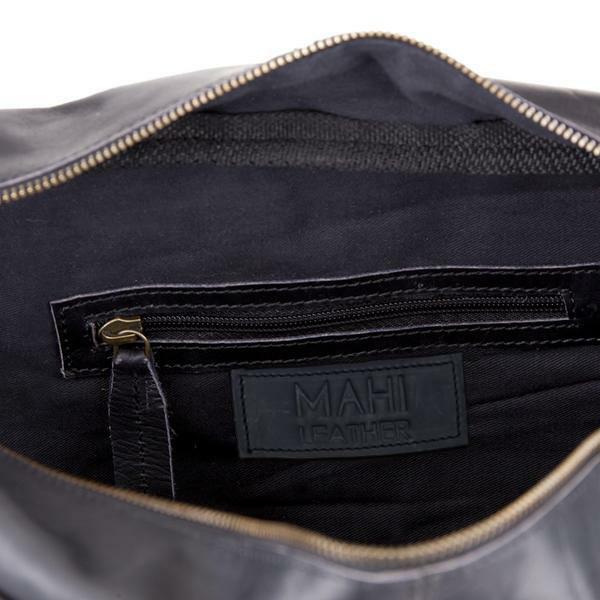 Those looking for a truly classic, yet practical luggage piece need look no further than the MAHI Holdall. 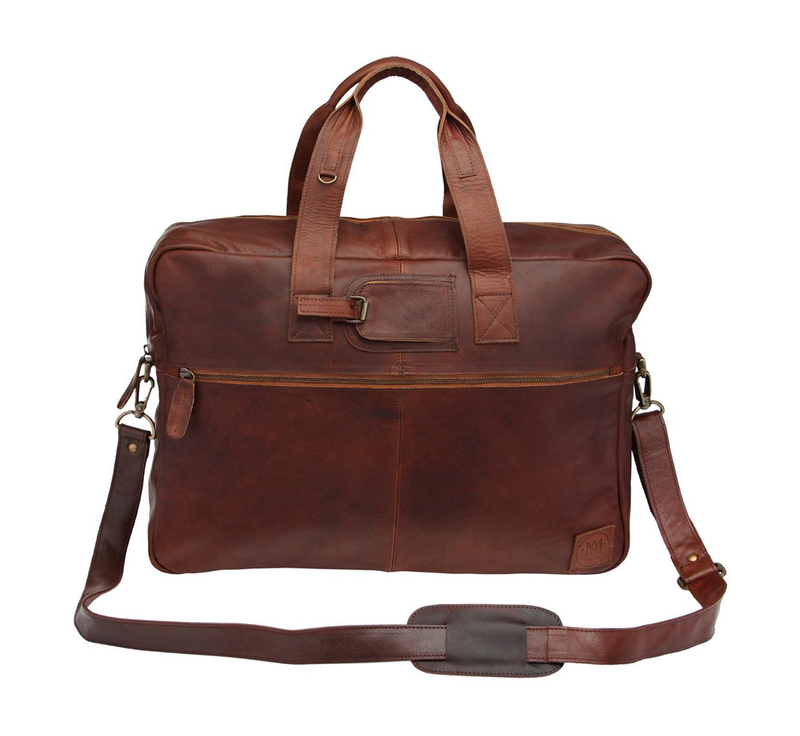 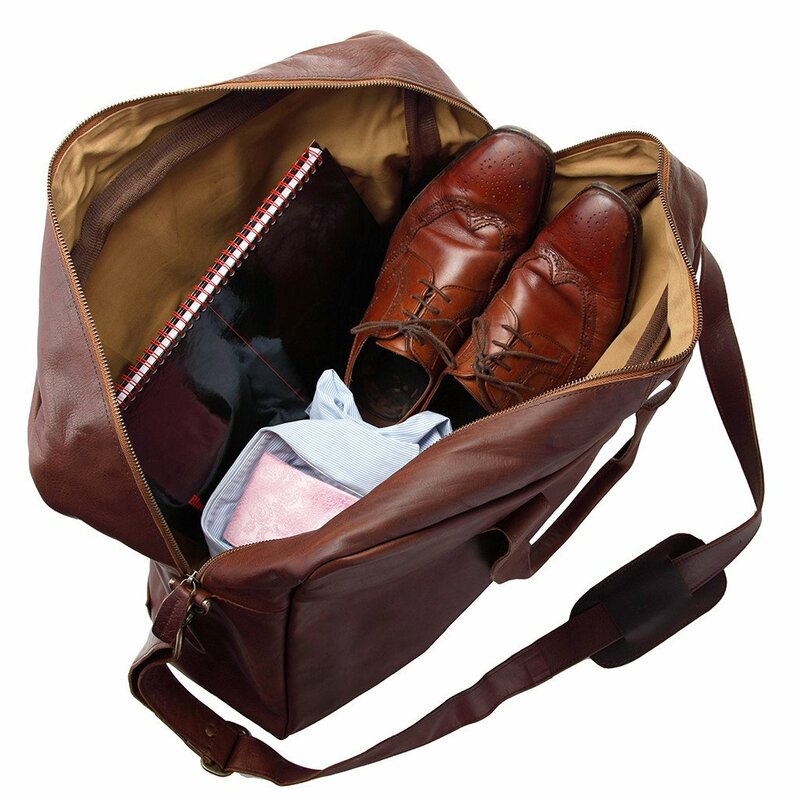 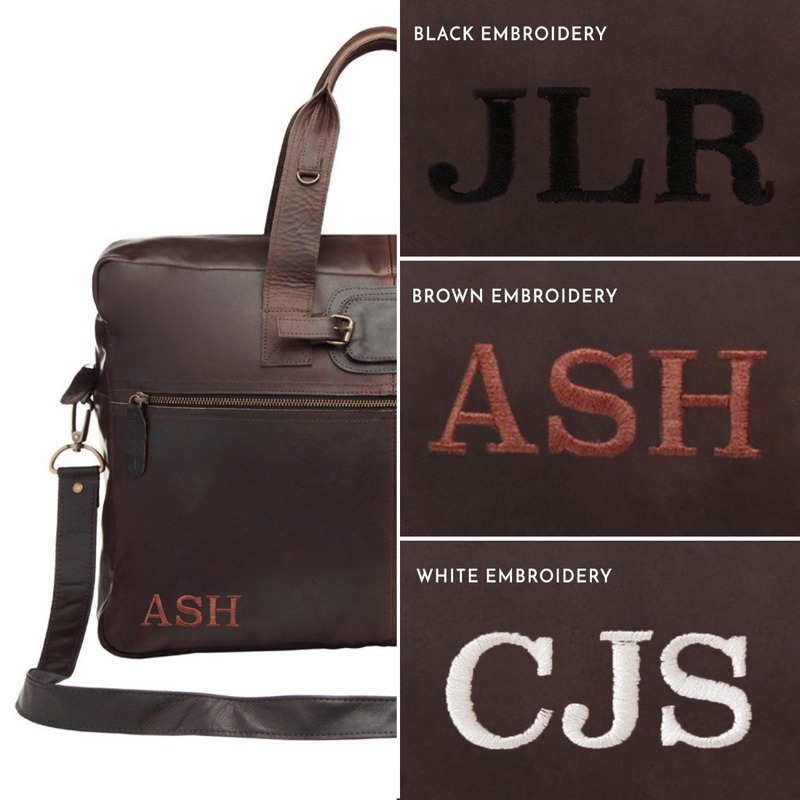 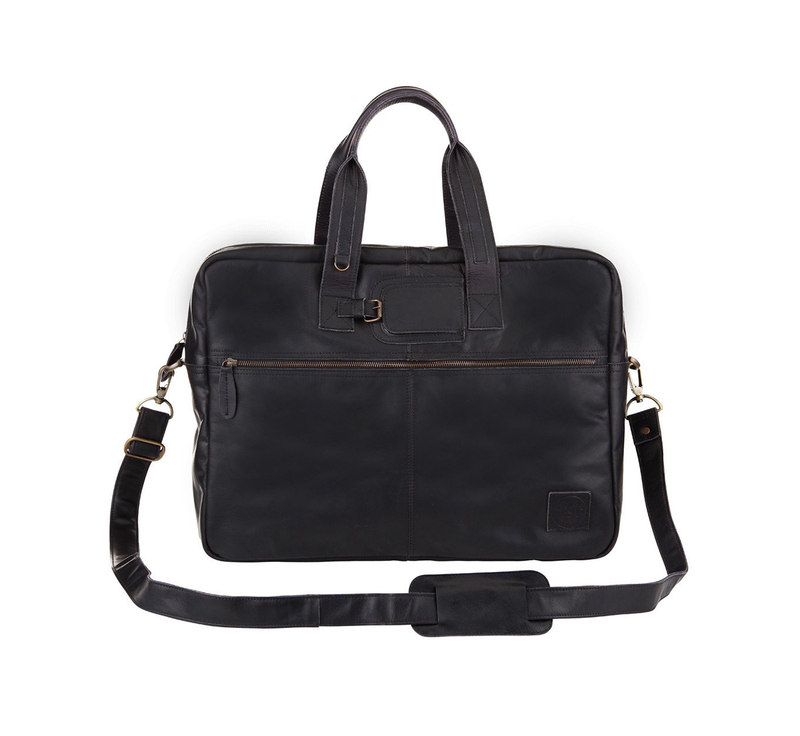 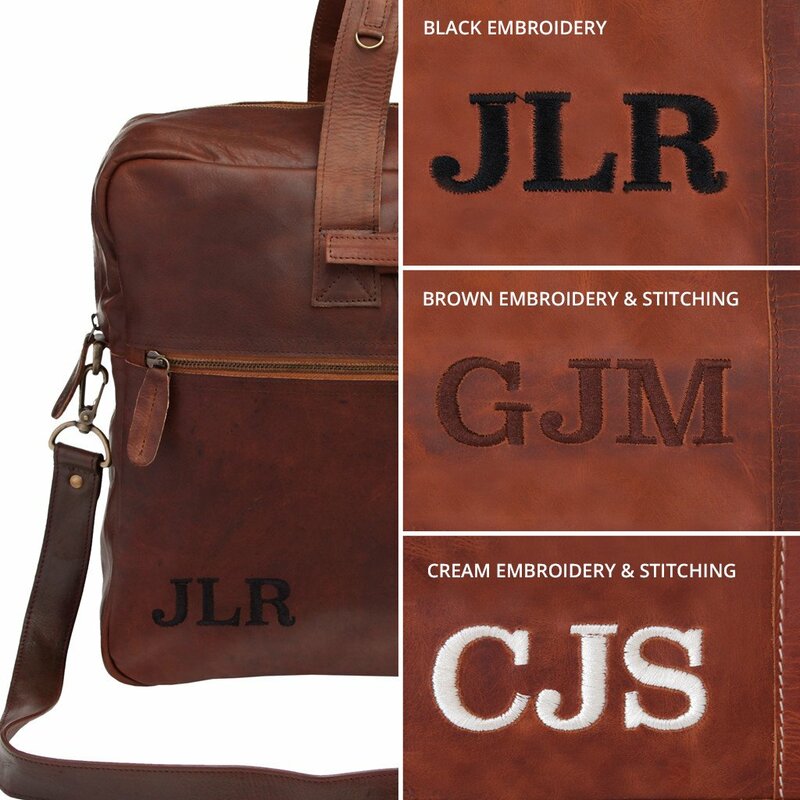 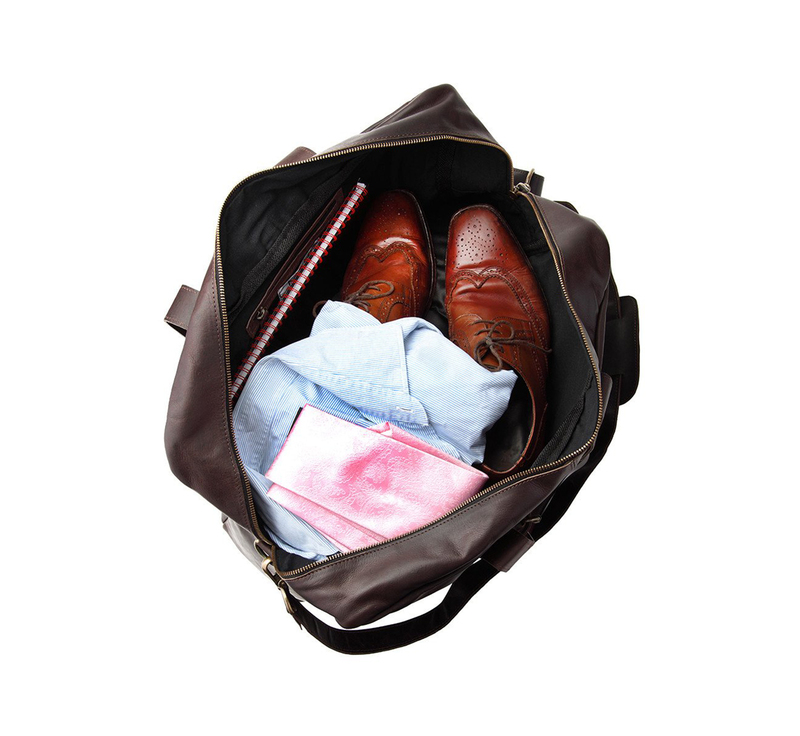 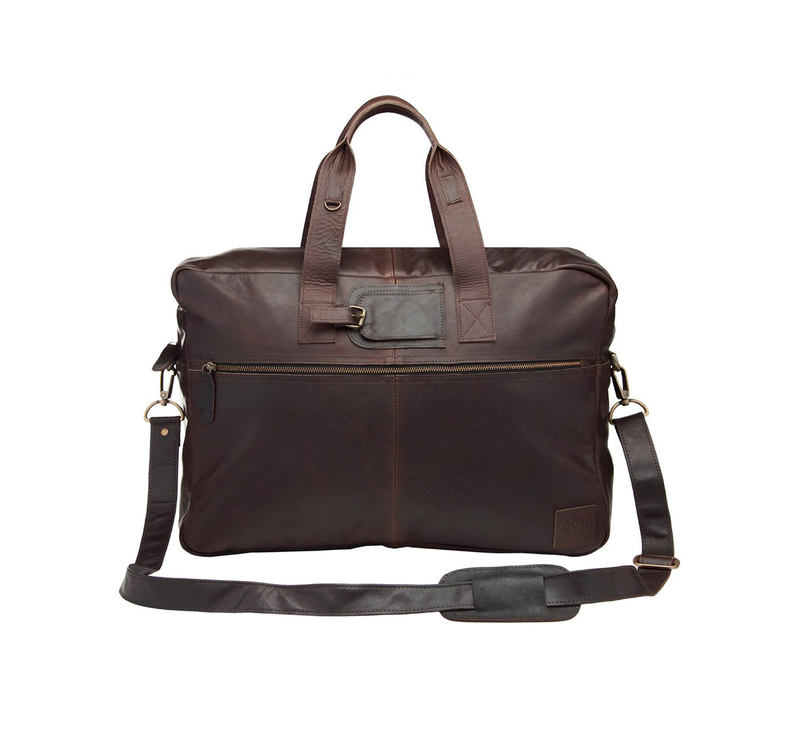 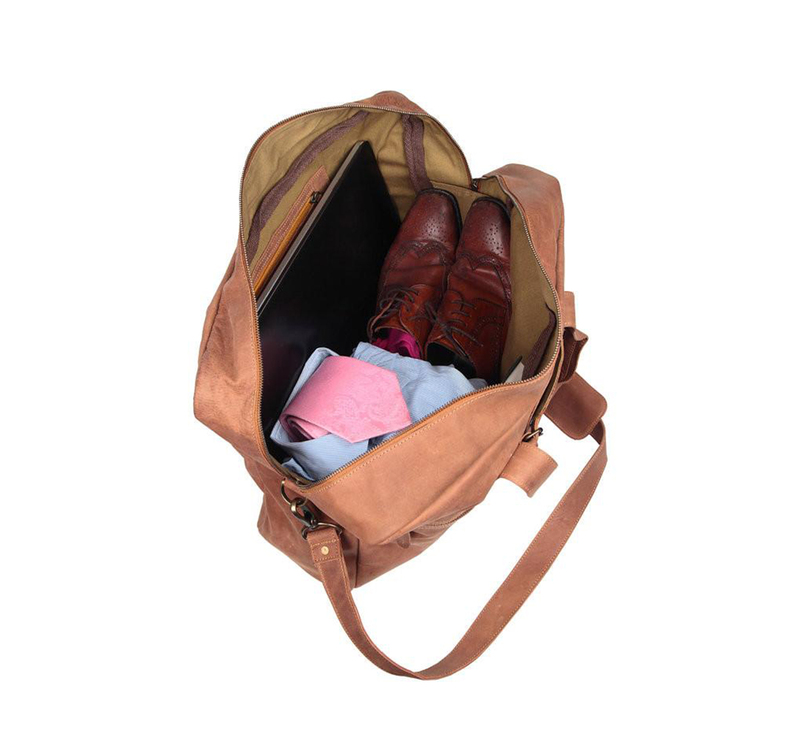 Crafted from full grain leather and fitted with a detachable padded shoulder strap, luggage tag, pockets and buckle, our Classic Holdall is ideal for on-the-go professionals and regular travellers alike. 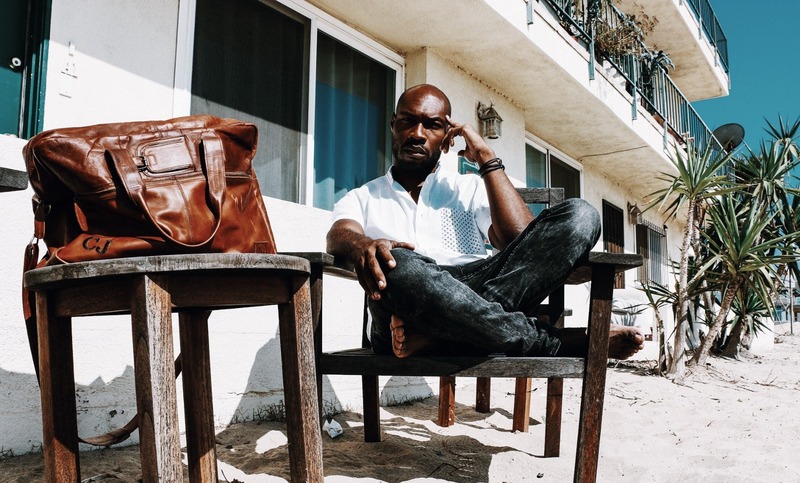 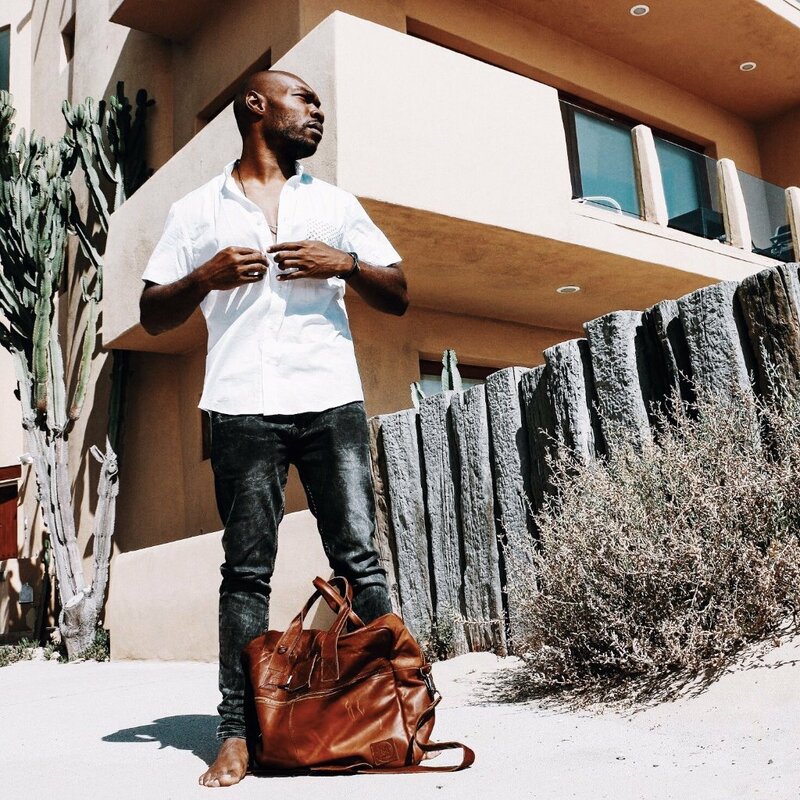 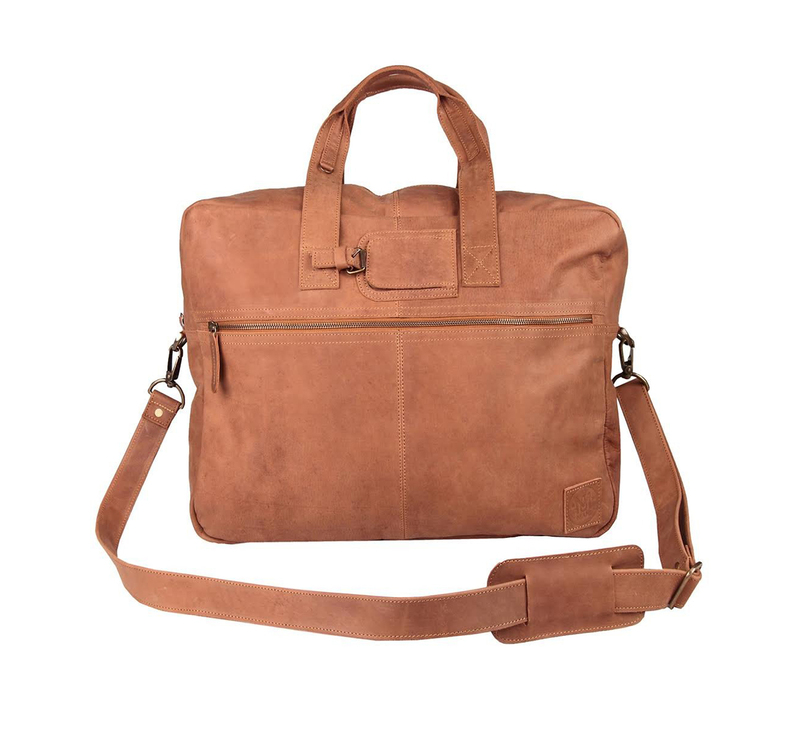 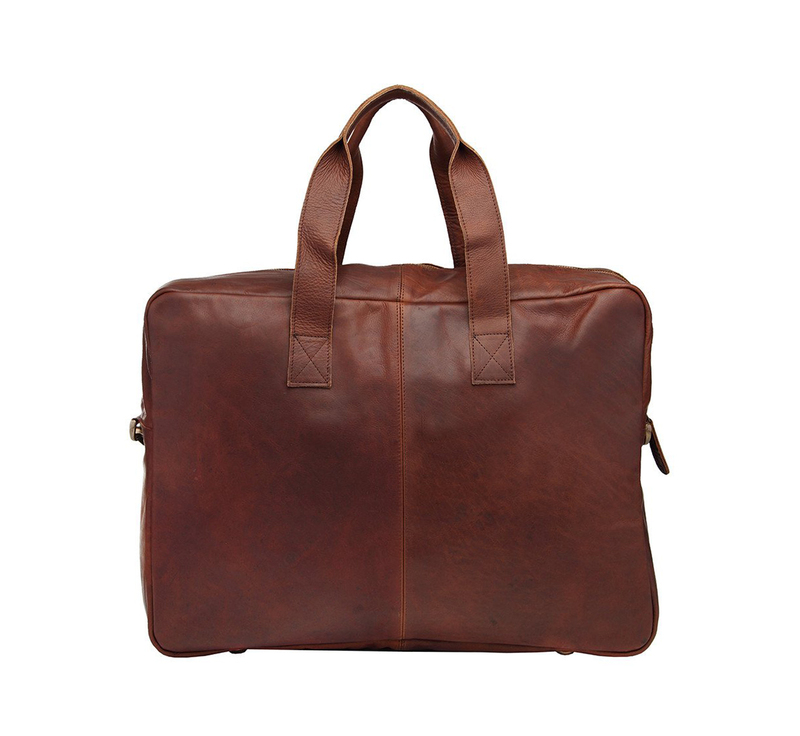 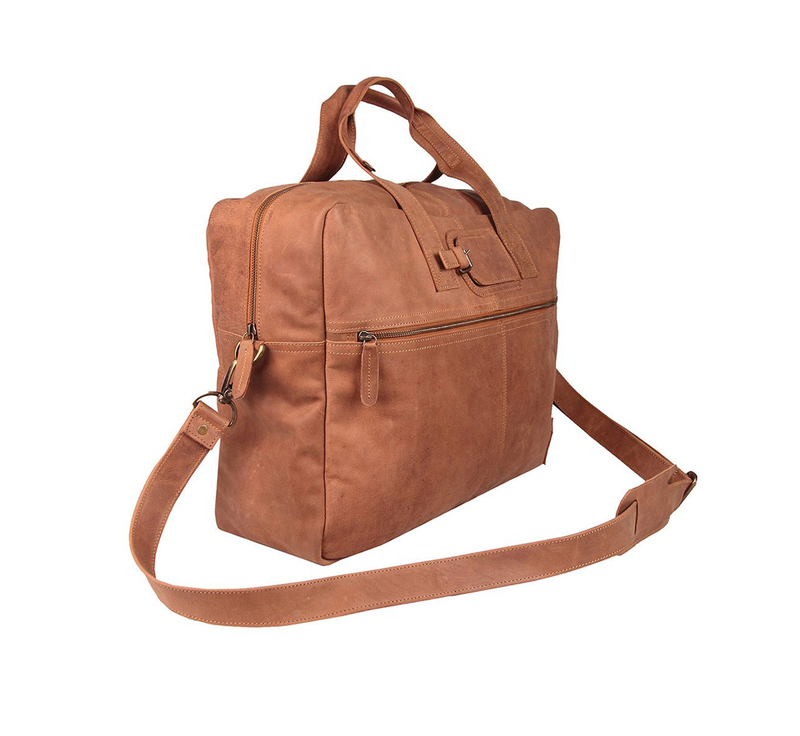 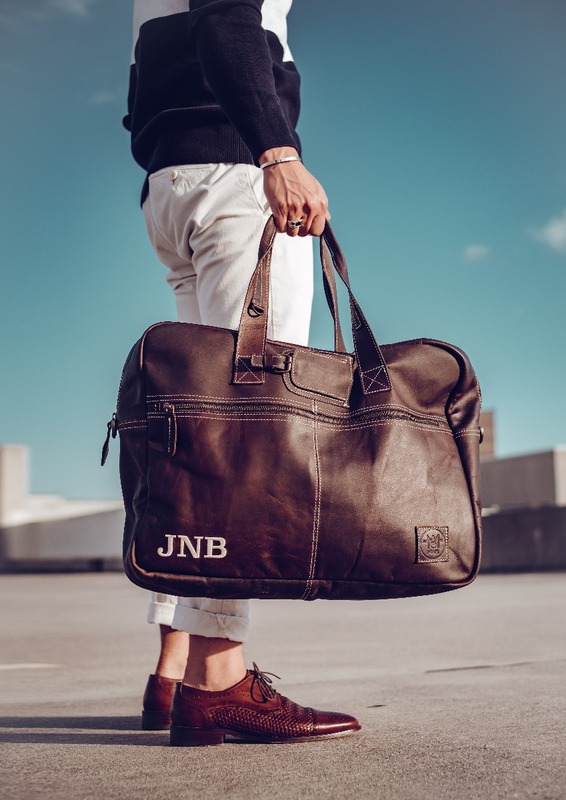 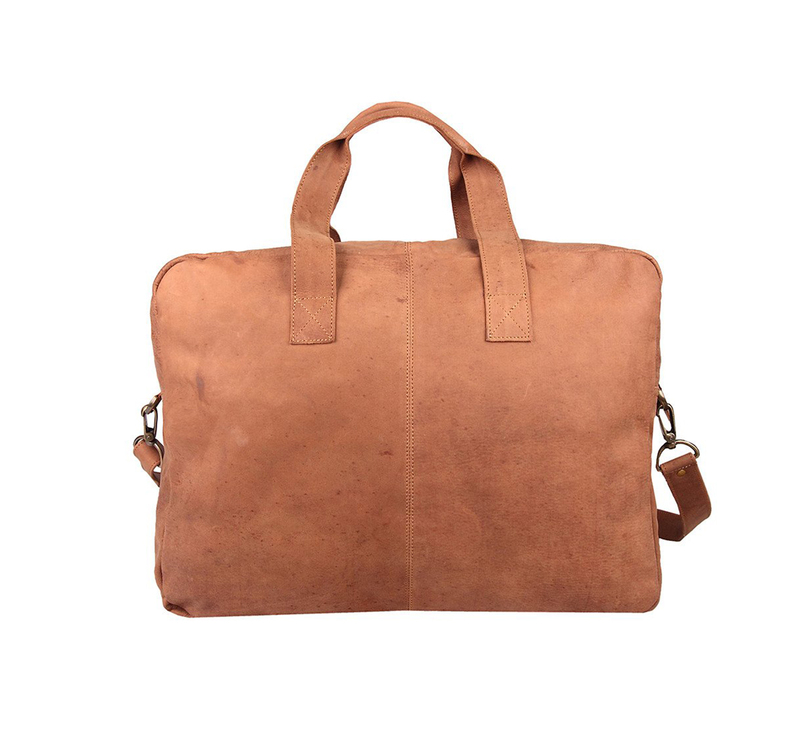 The Vintage Brown leather, dyed using natural vegetable extracts, is perfectly finished by the addition of simple brass hardware fixtures and zips, which add a touch of casual luxe to the holdall. 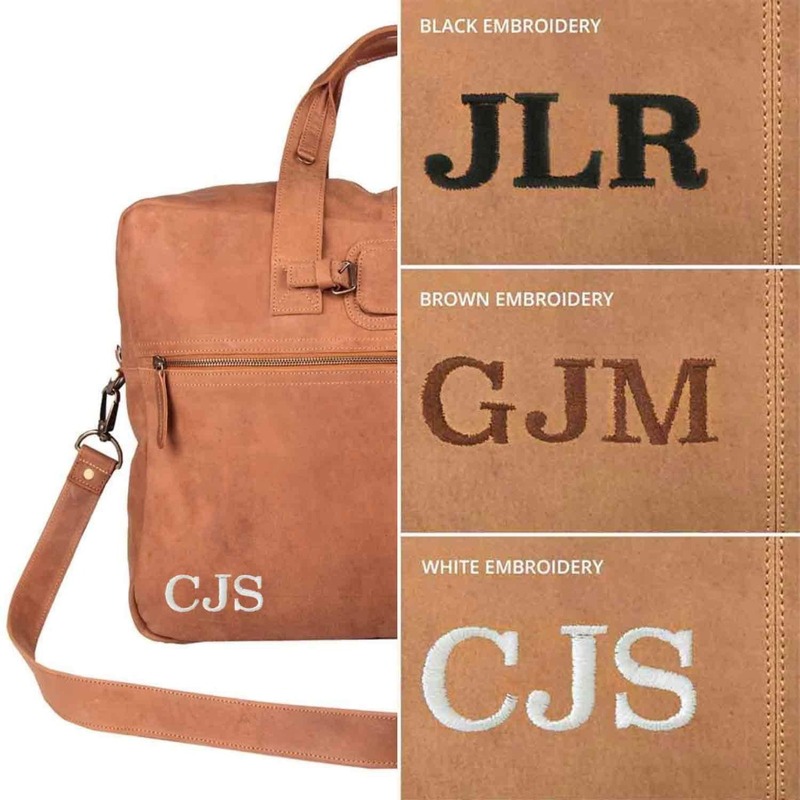 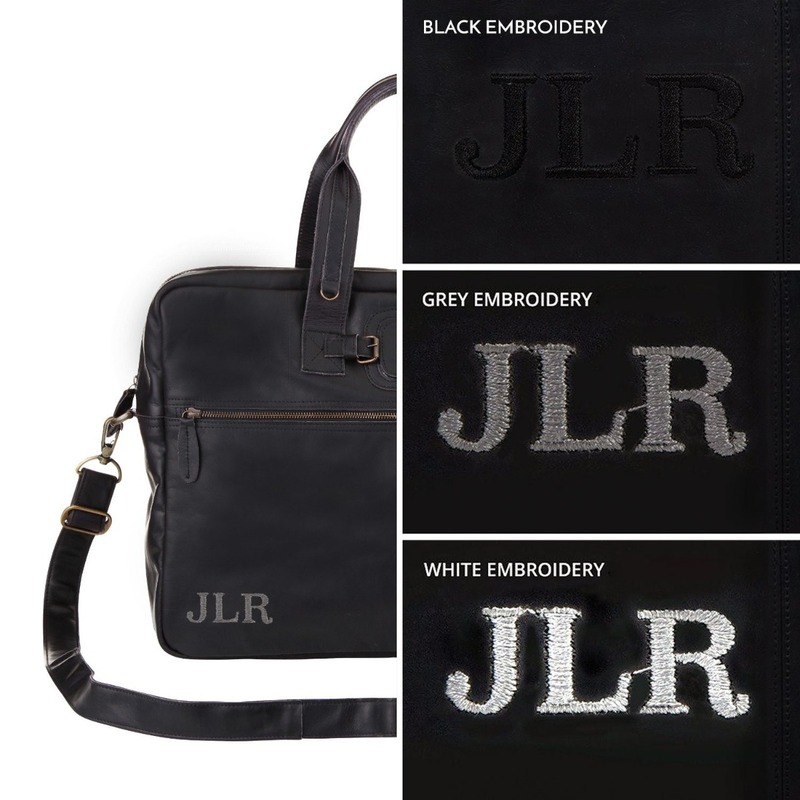 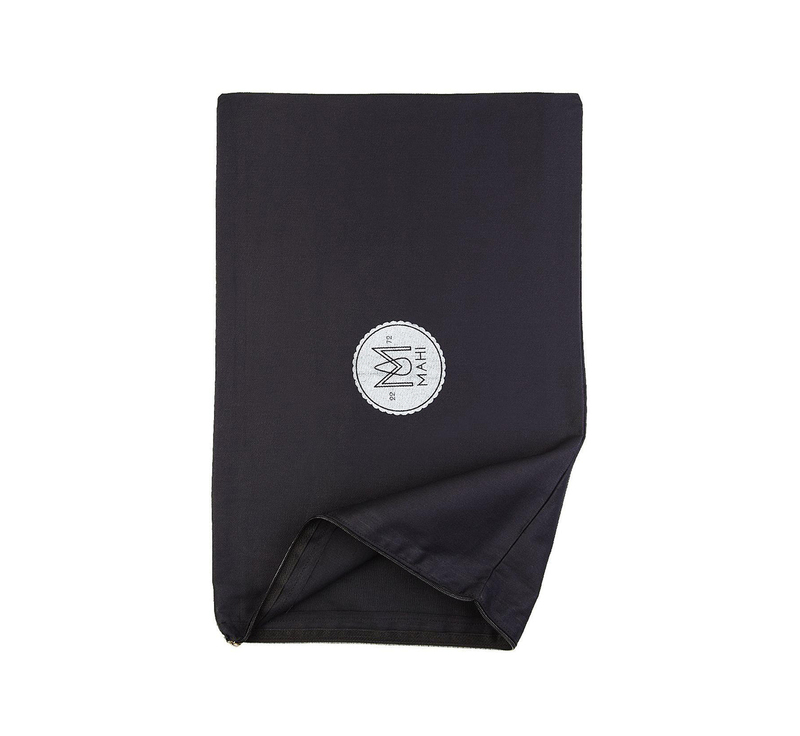 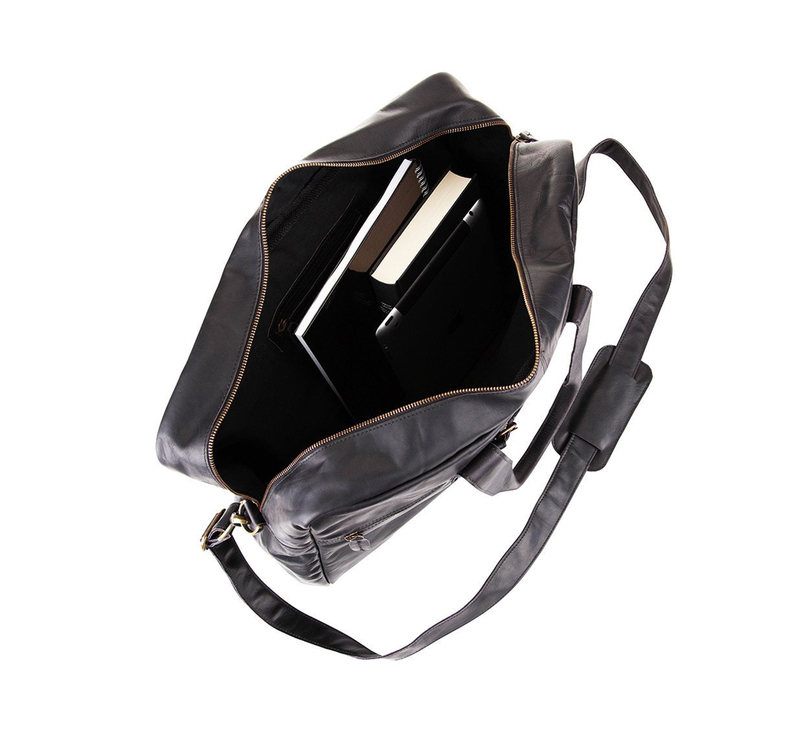 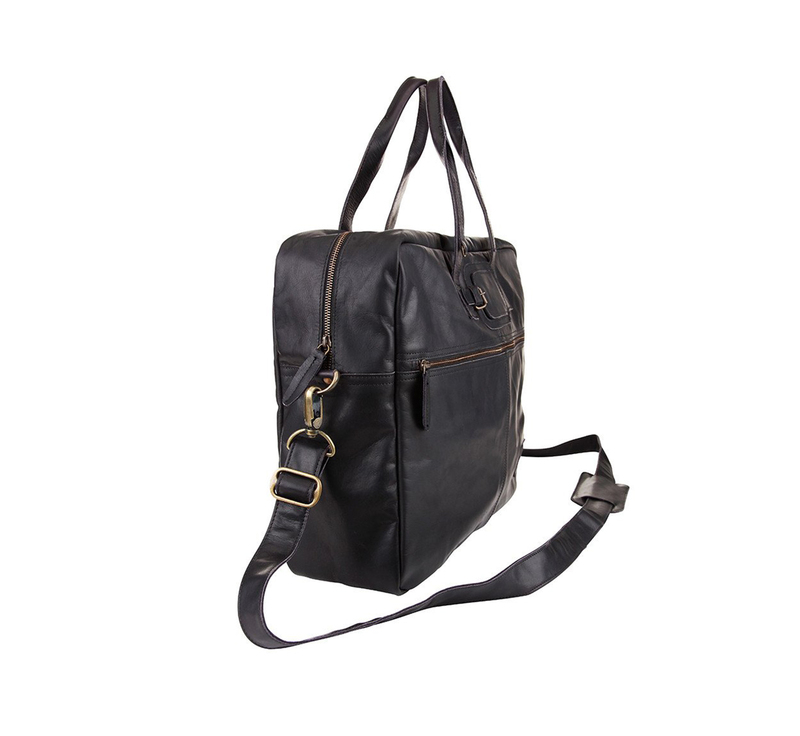 Features: Extendable detachable shoulder strap, small inside zip pocket, large outside zip pocket, four brass studs on the base, integrated luggage tag secured with buckle.